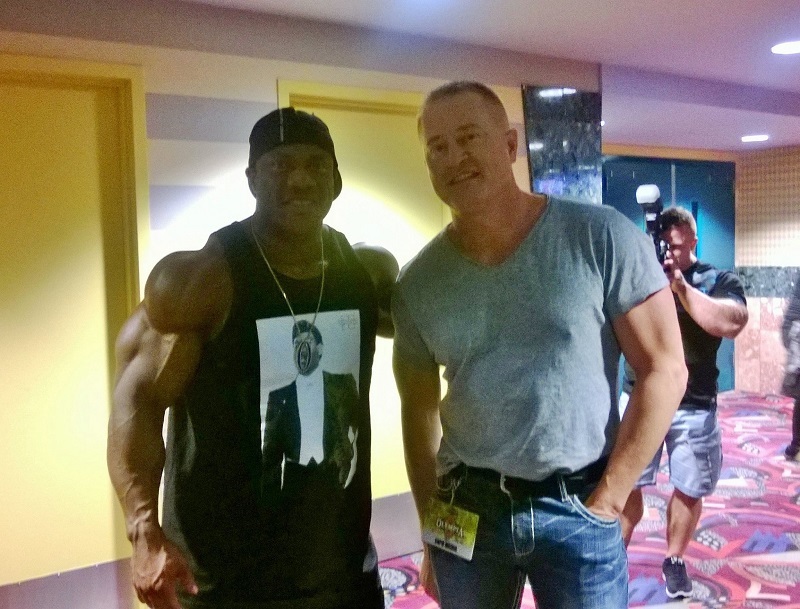 Earlier this week I introduced you to the annual Mr. Olympia events in Las Vegas, and today I’ll be exploring the most fun a fit guy or gal can have in Sin City. 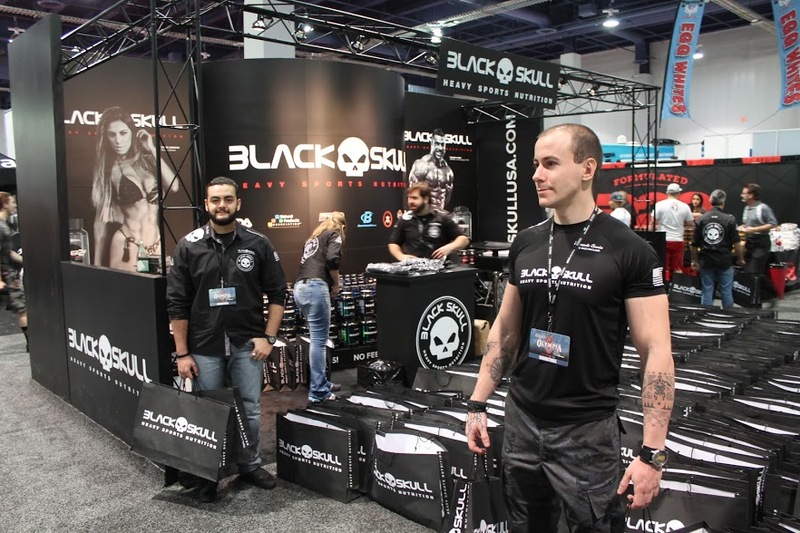 By that I mean the Olympia Fitness Expo at Las Vegas Convention Center. So bring an empty gym bag and get ready to fill it with swag. Friday and Saturday from 10 am through 5 pm is where you’ll find the world’s biggest collection of fitness fans. 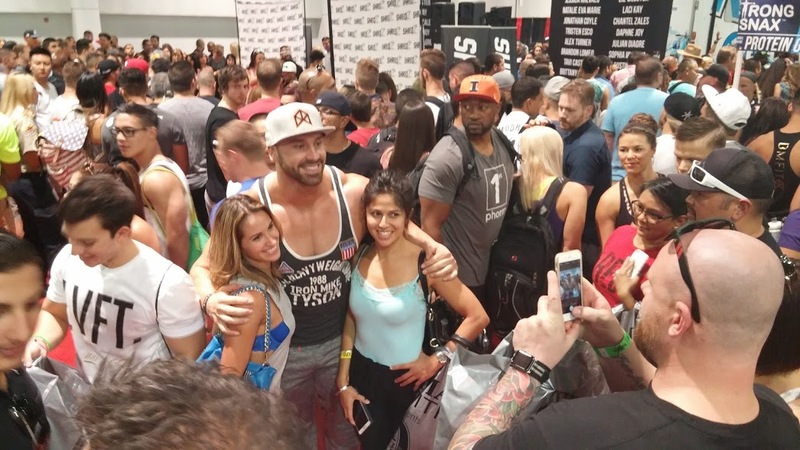 The Olympia Fitness Expo draws thousands from around the globe. For a $30 admission price (or $50 for a two-day pass), visitors can completely envelop themselves in every aspect of physical fitness culture. Dozens of booths and exhibitors line two levels of the Convention Center floor and it’s anything but a static business presentation. Both sides of the space have areas for physical competitions such as power lifting, martial arts, Tae Kwan Do, kickboxing, wrestling, karate, Olympic weightlifting and wheelchair championships. 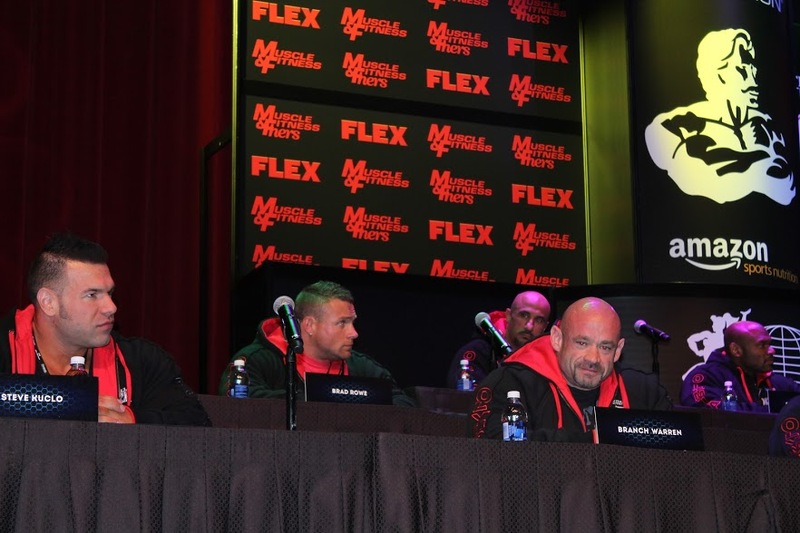 On the stage are contests for Men’s and Bikini Modeling, judging and awards for Men’s and Women’s Physique and the very “Vegas-y” pole competition. But the masses gravitate towards the vendor exhibits, where true paydirt awaits. Upon entry, attendees are given an enormous shopping bag which quickly becomes filled with giveaways. We’re talking protein powders, energy drinks, pre-workout mixes and pills, skin products, snack bars, weight-loss stimulants, shakers, t-shirts and more. Those who purchase VIP packages get to enter an hour before the general public and are able to snag the best goodies on both days (I even got a zippered hoodie and five workout shirts). 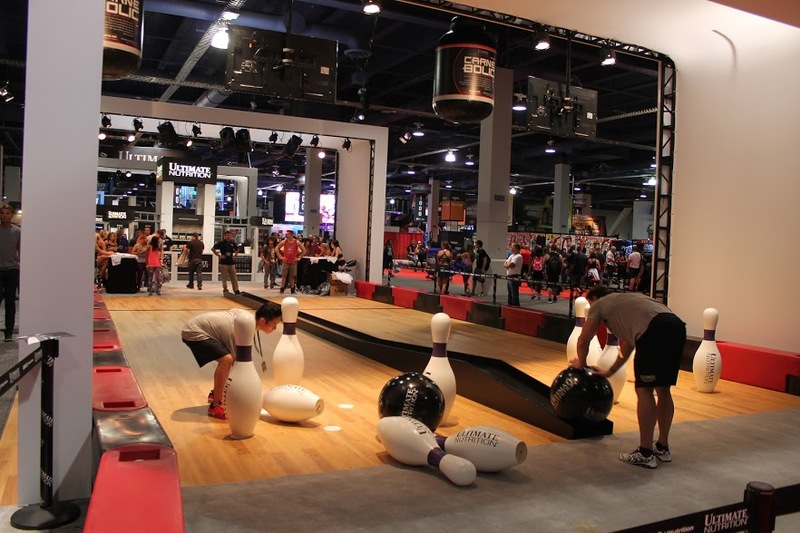 Better freebies go to those who take on physical challenges like chin-ups, arm curl contests, high jumps…and giant bowling? The photo below is just a sampling of what I collected while making my rounds and meeting the vendors. 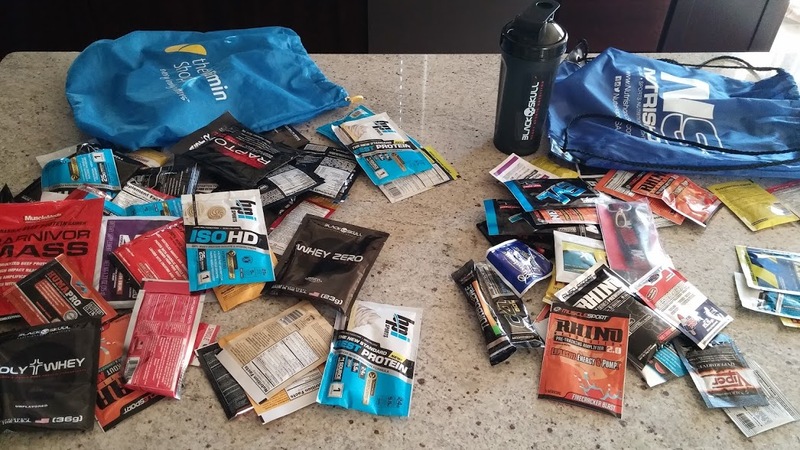 Most merchants require an email or Facebook registration to collect a sample bag and those lines are usually the longest…because they give away the best stuff. 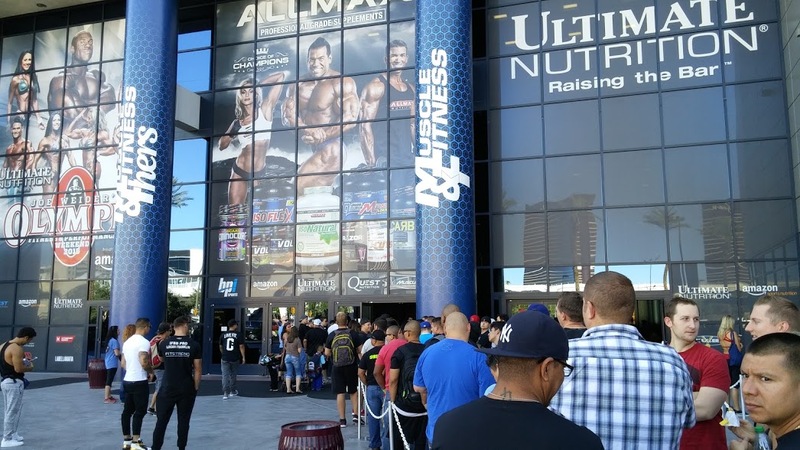 For those who find it hard to stay on their fitness plan when visiting Vegas, consider planning a trip around the Olympia weekend this year. It takes place every September, is a lot more fun than you’d think, and you’ll come home a winner. Just remember to bring an extra suitcase for all those freebies. 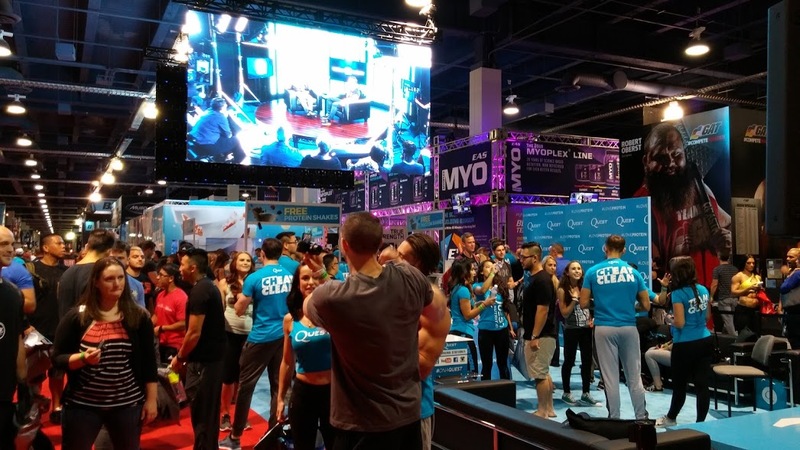 Olympia Fitness Expo 2018 will be held September 14th and 15th at the Las Vegas Convention Center. No strollers are allowed at the venue. For a schedule of events and tickets, click here.